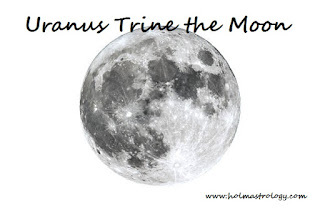 Transiting Uranus trine the Moon signifies a great time to make changes to your emotional outlook. If you have been caught up in emotional trauma, this transit is all about changes and your ability to break free of tight holds from the past. Since the Moon deals primarily with your emotions, this is a great place to start. As you begin viewing your emotional life from a new perspective, you will notice that the environment around you also starts to adjust. Your emotional makeup plays a significant role in many aspects of life and when in relationship with the Moon, it might not only encompass emotions but also physical changes within the home environment. You start to feel good about yourself and this “sense” starts to expand into the home and personal surroundings. Your outer world is quite often a reflection of your emotional, inner self. During this aspect, you may redecorate or make furniture changes that suit your innermost feelings. Often you may find that you reminisce about the past, and you may enhance your memories by buying adornments or putting up pictures that bring these times to the visual and mental surface. The Moon is also closely connected to our mother, and you may discover that she is going through periods in her life where she seems to be on top of the world emotionally. Of course much depends on her own Astrology chart conditions, but she may be looking for ways to find more freedom that leads to a better and more emotionally fulfilling life for herself. Your mother’s moods, along with your moods, may be subject to change when Uranus is contacting the Moon. In general, the trine suggests happier experiences and tranquil times. 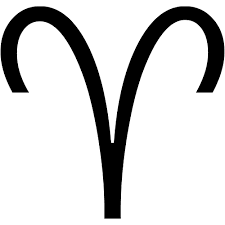 While the square or opposition usually indicates times of emotional strife. When in opposition to one another, the emotions of the Moon usually are connected to other people in our lives. Since Uranus is often used for timing in Astrology, take note when it is direct or when it moves into retrograde and then direct again in aspect, for these times will be when events unfold in your life. They are usually linked to a need for space, and often the start of something new in your life. Uranus wants to break free and find something that is more appropriate for the current time and space. Uranus often acts as an awakener leading to dramatic changes. Locate which house transiting Uranus is located in, Uranus’ natal position, and the Moon’s natal position to see which areas of life will be affected by the aspect we are focused on today. You should also check to see if this transit stirs up other configurations in your birth chart. Any links to the Moon will now be affected as well and the natal promise (found in the birth chart) begins to unfold. One thing is for certain, change can be counted on when Uranus is involved. As mentioned earlier, this could relate to your emotional makeup, the emotional settings in your life, the home front and also emotional security. The impact of Uranus can be felt as much as 5 degrees approaching and 2 degrees separating. 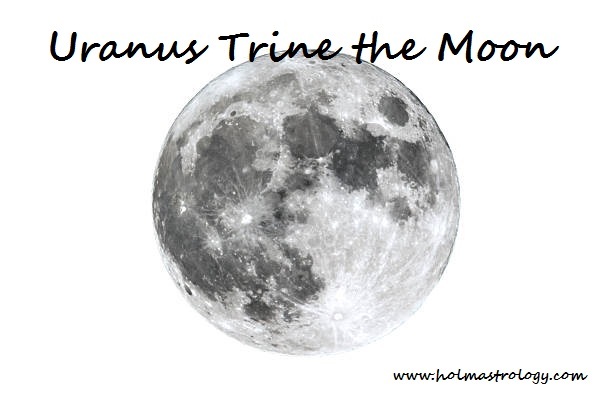 Trines are usually positive in their nature although Uranus is unpredictable so anything can happen. If challenging conditions are apparent, the trine will speed up the process. Be open to the “new” and know that change comes when we are ready for it.